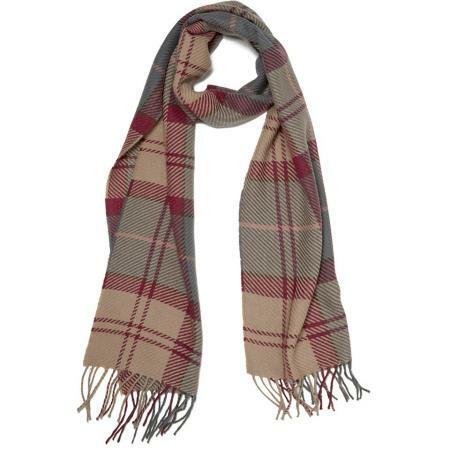 Barbour Tartan Wrap in winter tartan with twill weave effect. Made from a luxurious blend of wool and cashmere, this stylish wrap features Barbour’s exclusive Winter Tartan with a twill weave effect. Make your choice of two colourways; winter dress tartan or rosewood, from the pull down menu below. •180cms x 30°Cm + 7.5cm fringe.